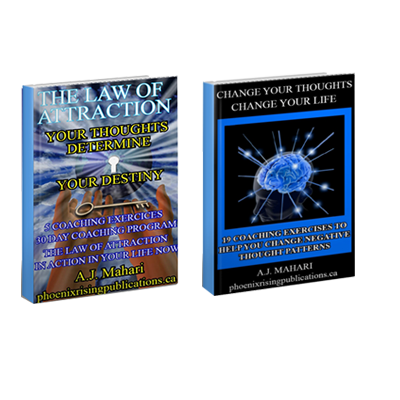 Understanding BPD – The Lost Self and Understanding BPD – The Rock and Hard Place in BPD are the first 2 ebooks of Mahari’s follow up series of 3 ebooks to her Core Wound of Abandonment Series. 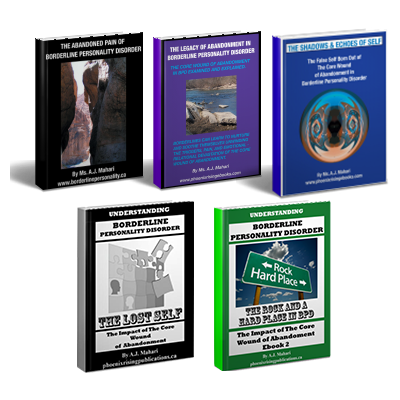 Understanding BPD – The Lost Self and Understanding BPD – The Rock and Hard Place in BPD are the first 2 ebooks of Mahari’s follow up series of 3 ebooks to her Core Wound of Abandonment Series (see Core Wound of Abandonment Series Ebooks in the Ebook Bundles Category) – This series focuses on the lasting Impact of the Core Wound of Abandonment and is a follow up series to the first series of 3 ebooks that explained, explored, and examined what Mahari has termed as “The Core Wound of Abanonment” is and involves in Borderline Personality Disorder. 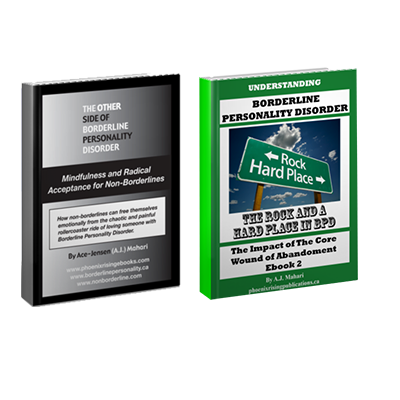 This ebook includes 141 pages that provide a deeper understanding of Borderline Personality Disorder. 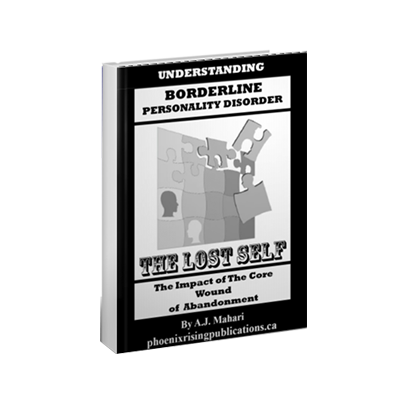 Included in this examination of the lost self in BPD is a look at what it means to have a lost self, the borderline quandry of the search for who one is, who is the borderline if he or she doesn’t know who he or she really is? Mahari also explores the terror of need in BPD, the trappings of BPD, the lost self and self hate, the life not lived in and with the absence of the lost self and the borderline need to search for and find the lost self. 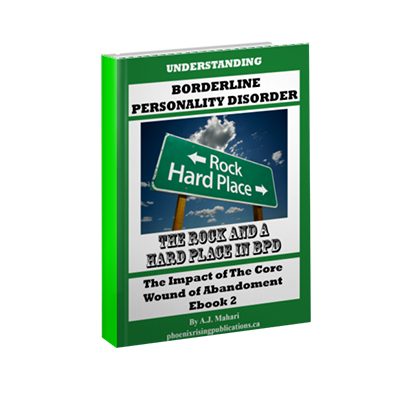 This ebook includes 133 pages examining and exploring 35 main aspects of issues found in those with BPD that constitute a rock and a hard place borderline reality that perpetuates the impact of the core wound of abandonment in ways that keep many stuck in the active throes of BPD and its pain and suffering. 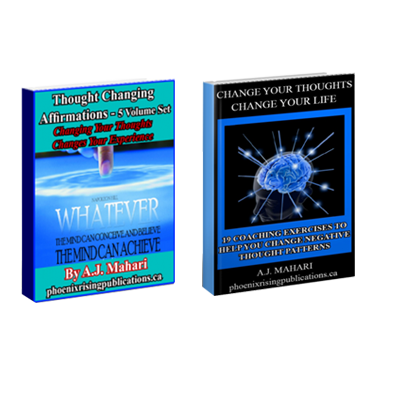 In this ebook Mahari explores the answer to the question as to what is normal versus abnormal and what that looks for those with BPD and the reality that there is normal in what is the otherwise abnormal of BPD. Also examined is Borderline Ambivalence, Fear, Defensiveness, Emotional Dysregulation, Borderline Projection, The Masks of BPD, Grandiosity and Narcissism in BPD, the impact of Negative Psychological Associations and BPD, BPD and Devaluation, Self-Harm and Borderline Skewed Reality.